Health insurance à la carte? As the Affordable Care Act open enrollment season moves into its final weeks, some consumers looking for lower-cost alternatives are considering a patchwork approach to health insurance. The products may secure some basic protection, but leave patients on the hook for high medical bills. The idea involves mixing and matching several types of insurance products originally designed to cover the deductibles and other gaps in traditional coverage. "We have several carriers" from which clients can choose "prescription coverage from one and accident coverage from another and critical illness care from someone else," said Eric Jans, a Nashville, Tenn., broker. An entire package, he added, usually costs $900 to $1,000 a month for a family. 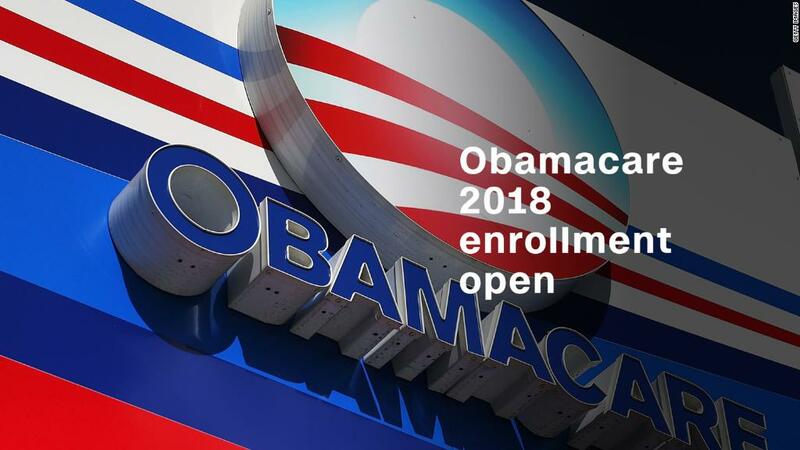 Though not new, the tactic is gaining momentum and interest with consumers — particularly in regions of the country with high ACA plan premiums. And it's gone national with the online firm eHealth, which launched a set of packages Nov. 1 and promotes them on its website to people who "can't afford Obamacare." The packages won't exempt people from the IRS penalty under the ACA, experts warn. And consumer advocates caution the concept falls far short of full coverage. "We're seeing increased marketing of these over the past year. It's a very risky proposition for consumers," said Betsy Imholz, special projects director for Consumers Union. "Proceed with extreme caution." The packages cobble together "fixed-benefit indemnity" plans, also known as "gap coverage" plans, with other types of policies. Most such "gap coverage" plans are underwritten, meaning they ask about applicants' health and can exclude people with medical problems, or exempt those conditions from coverage. These plans pay an often small per-day or per-service amount toward hospital care, doctor visits and lab tests — for example, $65 for a primary care appointment or $175 for an advanced imaging test. The packages usually include a prescription drug discount card. Many also feature a "critical illness policy" that pays a lump sum of between $5,000 to as much as $50,000 if the policyholder is diagnosed with a qualifying illness, such as a heart attack, cancer or stroke. Some also incorporate short-term medical policies, which must be renewed every 90 days. None provides comprehensive major medical coverage. The effort to reinvigorate sales of such policies comes as premiums for some ACA plans are rising rapidly, fueled by that ban on rejecting people who are sick, the inability of Congress to agree on efforts to stabilize the market and Trump administration actions that undermine the federal health law. In some markets, families now face ACA premiums that exceed $20,000 a year. "There are entrepreneurs all over the insurance industry looking at the fact that people can't access insurance they can afford," said Robert Laszewski, an industry consultant based near Washington, D.C. The IHC Group, which offers the type of hospital indemnity coverage often included in such packages, provides a hypothetical example of how its plan works. A person in the hospital with pneumonia for five days, two of them in intensive care, would receive a flat payment of $12,250 in total toward that hospital bill. While that may sound like a lot, the hospital bill, "if you're on a ventilator and getting antibiotics, could be $12,000 a day," said Missy Conley, director of consumer claims at Roanoke-based Medliminal, a firm that helps consumers sort out their medical bills. "And that's just the nursing staff and the room," she said. "It doesn't include the physician who pops in or the respiratory therapists." Most people have no clue how much big-ticket items like hospital care, chemotherapy or surgery can cost. And it's hard to get medical providers to disclose their charges. Still, the average cost of a three-day stay in the hospital is $30,000, according to the federal government's health website, healthcare.gov. Even with those limitations, some consumers are now eying the packages for their sole coverage. "With [these products], we try to put together carriers that provide something [as] close to major medical as we could get," said Nate Purpura, eHealth's vice president of marketing. Prices vary by carrier, level of coverage and the age and gender of the applicant. Even with lower premiums, a package might not end up being less expensive than an ACA plan if the consumer has a medical issue or two during the year. The materials eHealth uses to explain its plans illustrate that point. It starts by warning consumers that medical insurance packages "may not be the best option" if they have job-based insurance or can afford an ACA plan. But then it highlights Jane, a hypothetical 28-year-old who says she can't afford the $350 a month an ACA plan would cost her. Instead, she gets an eHealth package plan for $230 a month, saving $1,440 in premiums for the year. Unfortunately, Jane has a bike accident, breaks a bone and then a month later needs new glasses. The example shows that her package of plans paid a total of $17,000 toward the ambulance ride, the hospital costs, her pain medicine and her new glasses. Jane saved $17,000 of total costs incurred of $21,550, the brochure says. But, what it doesn't spell out is that she still had to pay about $4,550 for her share of the rest of the tab. Certainly, she's better off financially than being uninsured. But, in reality, her package plan cost her $3,110 more than if she had gone with the seemingly more expensive ACA coverage. "Every dollar you don't spend on premiums looks like a savings," said Michael Lujan, co-founder of employer benefit firm Limelight Health in San Francisco, and a board member of the Silicon Valley Association of Health Underwriters. "But let's say you end up in the hospital with surgery or whatever, you need to weigh that and consider 'What would my costs be?'"